I'm continuing my alphabet-inspired discount program during the month of July, offering a 20% discount on animal communication consultations to all animals whose breed or species begins with the letter "B." 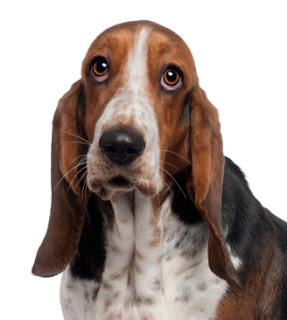 The reduced rates this month will apply to Basset Hounds, Beagles, Bloodhounds, Border Collies, Boxers, Briards, Bengals, Belgian Draft Horses, and to all other breeds of dogs, cats, horses, or other animals whose breed begins with the second letter of the alphabet. Both new and current clients of Animal Translations are invited to take advantage of this program. I'll continue this whimsical "ABCs of Animal Communication" promotion in August, when it will be offered to breeds that begin with the letter "C."
The standard fee for an animal communication consultation is $75. Clients whose animals qualify for the reduced rate this month can purchase a session for $60.00 by visiting the Animal Translations website.